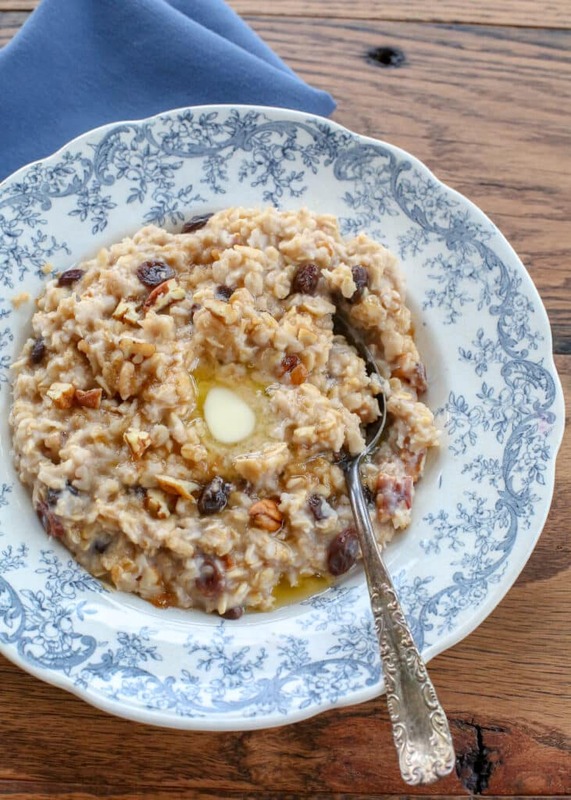 Today I’m showing you how to make oatmeal that the whole family will love. 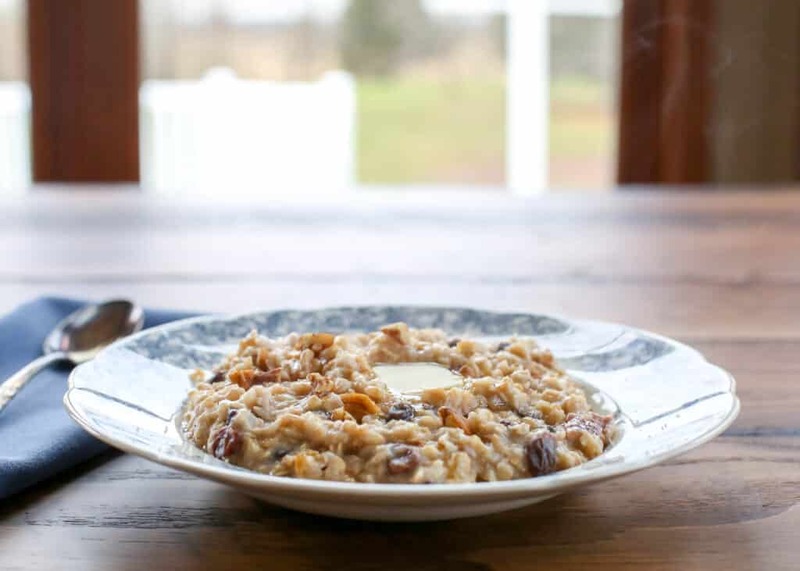 This hearty stove-top oatmeal filled with chewy raisins, crunchy nuts, brown sugar, and butter in our kitchen at least a couple days each month – if not more often than that. My family’s love of oatmeal is a well-documented thing. 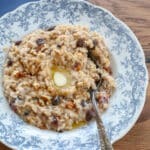 As I wrote this post, I checked the recipe index for this site and realized that I’ve posted a dozen different oatmeal recipes over the past year. 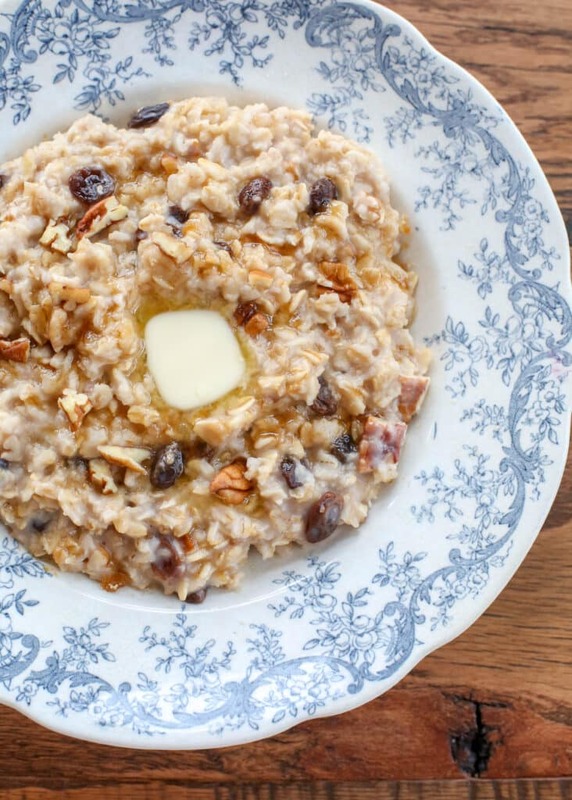 Baked, Slow Cooked, Soaked, and in the Crockpot are just a few of the ways that we love oatmeal. Traditional stove top oatmeal is still the most frequently served oatmeal in my home. A while back, I started adding nuts to our usual bowls of oatmeal with raisins. The nuts add a soft bit of crunch with the creamy oats and the chewy raisins. My whole family enjoys this combination very much and even my non-oatmeal loving son has decided that if oatmeal is made this way, it is delicious. Place the oats, salt and water in a small saucepan. Cover with lid and bring to a boil over medium high heat. 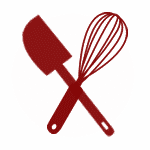 Immediately uncover, stir and reduce heat to lowest setting. Let it simmer just until the water is absorbed and the oats are as creamy or chewy as you like. This should only take a few minutes. Stir in the nuts and raisins and scoop into bowls. Stir in the sweetener of your choice and butter if desired. Add a splash of milk, if desired and serve immediately. Enjoy! Mary, I can not thank you enough for all the recipes especially the dozens of oatmeal recipes you have sweetly provided!! My children love them!